FRE-Language Services is specialised in the translation of financial and business texts, annual reports, financial statements and commercial law documents from German into English. We guarantee a professional and competent translation service. We work to agreed deadlines, our prices are fair, and we comply with professional confidentiality obligations. 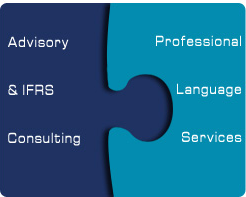 Our clients are companies, audit practices and individuals. Most return to us year after year, confirming the quality of our service. Please contact us if you have any further questions. We would be pleased to provide you with an individual quotation for your translation work.